Abington, Pa. — Brookside Healthcare and Rehabilitation Center has completed the first phase of a $1.9 million transformation of its rehabilitation facilities with the installation of the ZeroG Training System by Aretech. This cutting-edge technology is designed to speed recovery by allowing residents to practice walking and balance therapy safely and independently. The ZeroG innovation is part of Brookside Healthcare’s new state-of-the-art rehab facility. 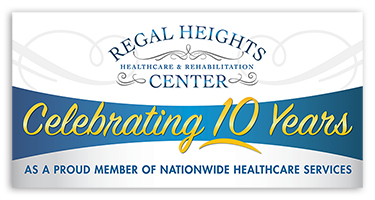 It enables patients who are undergoing in-patient skilled nursing and sub-acute therapies to experience high-intensity rehabilitation much earlier in their recovery and rehab closer to their homes and families than ever before. Brookside Healthcare and Rehabilitation Center is the first skilled nursing facility in the nation to acquire both the ZeroG Balance Training System by Aretech and a Woodway Treadmill. The ZeroG System, which is mounted on an overhead track, is designed to allow patients to practice daily activities safely and independently, without the risk of falling. The system provides a specifically calibrated amount of dynamic body-weight support and fall protection while also monitoring the individual’s movements from above. Dynamic body-weight support allows patients to undergo therapy, perform balancing exercises and practice a variety of daily activities – such as walking, climbing stairs and getting up from a chair or the floor – without having to bear their full weight. This allows patients to undergo therapy at high-intensity levels soon after an injury. As patients are able to bear more of their own weight, the amount of dynamic support can be decreased. Residents have the confidence to push their boundaries, which should ultimately improve outcomes. ZeroG features real-time biofeedback for balance activities, as well as interactive games, making therapy fun while increasing motivation, cognitive stimulation and encouraging participation. ZeroG also records data from each training session so that therapists can monitor patients’ progress. The new ZeroG System is the centerpiece of a $1.9 million transformation at Brookside Healthcare and Rehabilitation Center that is creating a state-of-the-art space to allow patients to quickly re-integrate back home and into the community. In addition to superior gym facilities, the upgrade allows patients to practice daily activities in a 6,400 square foot area with pleasant lighting and technologically advanced equipment. In this simulated living space, patients are able to practice tasks such as getting in and out of bed, showering, meal preparation and laundry. At the same time, an outdoor terrace space allows for residents to practice everyday routines such as getting into and out of the car, stepping on and off curbs and walking on a variety of different surfaces, from gravel to concrete. The second phase of the renovation at Brookside is due for completion over the next several months. The new rehabilitation facility will total 8,810 square feet and will include space for therapeutic recreational programming, as well as an outdoor garden courtyard and a new indoor lounge area. The project was designed by John W. Baumgarten Architect P.C., of Jericho, N.Y., in collaboration with C&C Construction Management Inc., of Philadelphia, and Icon Interiors, of New York. Brookside’s new rehabilitation center includes an outdoor therapy center that allows patients to practice daily activities, like getting into and out of a car and walking on different surfaces. Brookside Healthcare and Rehabilitation Center’s new gym and therapy space. A physical therapy instructor supervises use of the ZeroG machine.